Red gemstone very rare and unique, a very high energy stone and also one to draw attention in any group, red stones are very are and precious and they also command a higher price. There are it seems red diamonds, very rare and costly as they are not available easily. The stones usually get their color by effect of environmental factors and usually the color is a result of exposure. 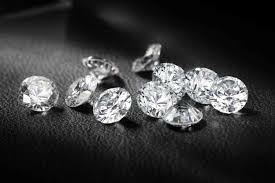 It has been found that diamonds are clear but impurities in the stone bring about various colors and the rarest color being red diamond can also be seen. Rubies is what one knows when we talk red, great stones, energy stones and effective in bringing fame and good luck to the wearer. 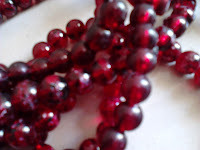 Rubies I have seen with many certified gemstone dealers look almost pink many times and the rarest rubies , redder the color I think are priced more, much more higher price. Birth stone for December borns for the sign Capricorn rubies can be worn by anyone who loves energy and attention. Then there are red beryls, Pezzottaites, stones recently discovered getting their color due to impurities and environmental exposures to different elements, found as orange, red, pink colored stones. Red Spinels beautiful gemstones but less in price than original rubies are also seen in many jewellery customized designs today, Topaz stones, Red Topaz, I have read are extremely rare, which usually found in orange, browns are also found in this beautiful red color. Zircons, affordable stones, are found over the earths crusts and reasonable priced red colored gemstones. 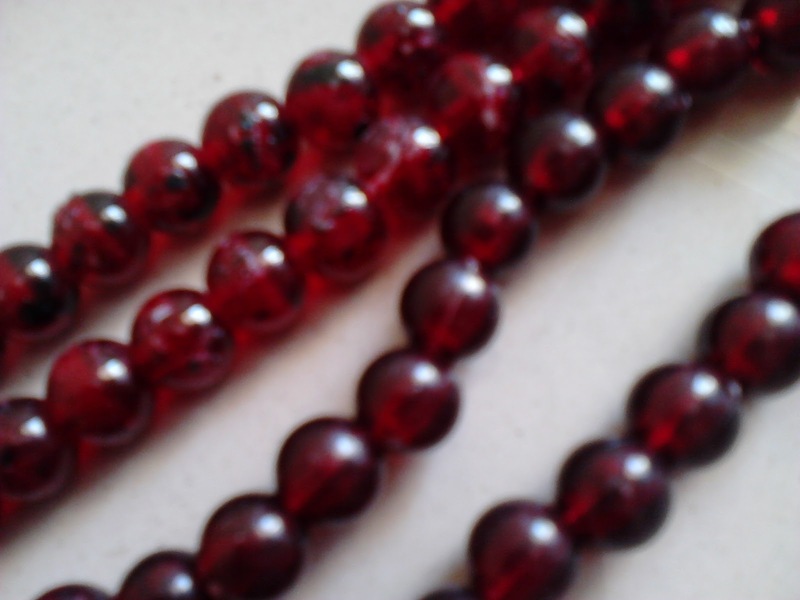 I love agates, quite affordable and beautiful colored stones, the red agate beads look very beautiful as they are see through, shine in sunlight or strong artificial light. Carnelians are also red, and the beautiful Red Garnet stones, too good! 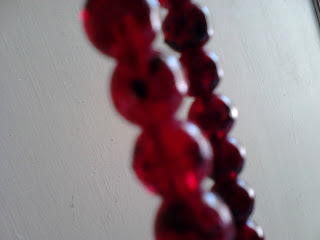 a deep red, almost maroon colored stone, a birth stone of January and very good for the Zodiac sign Aquarius. Red colored stones are very over powering and in case the wearer is aggressive natures or sensitive type it is better to have this colored stone in mild , less in your jewellery. As for red colored stone symbolism, Red colored gemstones must be worn with care as the energy levels increase and the wearer if sick, this color may aggravate the mental and physical pain and problems. Psychiatric patients must stay away from this red colored stone, in fact any object of red color as it may aggravate their emotions. In mild form use this red stone in cases of depression and low self esteem and low confidence, Rubies are believed to bring in lots of fame and high position to the wearer. Wearing red stones, semi precious ones combination with other semi precious diamonds looks great and is the centre of attention on any festive occasion. A casual simple stone red ring in gold highlights the wearers energy and boosts self esteem during board meetings and presentations. Red also used in any form is an energy color, brings about grounding energy, so if your are facing the blues! !low mood try wearing red! While I love gemstones, and do value their effects in the healing properties of various stones, I would not advice to buy specially or follow only in the healing powers of birth stones and gem stones, buying stones for their magical results is a sure way to failure unless you work towards your goals, there is no replacement to hard sincere effort, a right combination of energy ( from stones) and effort. colored gemstones, precious stones, semi precious stones, shiny , sparkling, glittering, just for the sheer beauty of it, indulge with gemstones! 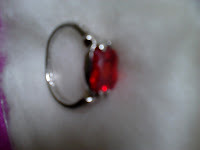 wow the rings are so great , I love the red ruby ring. Thanks Daniel for coming by Obsessed Over Stones. Take Care and God Bless!